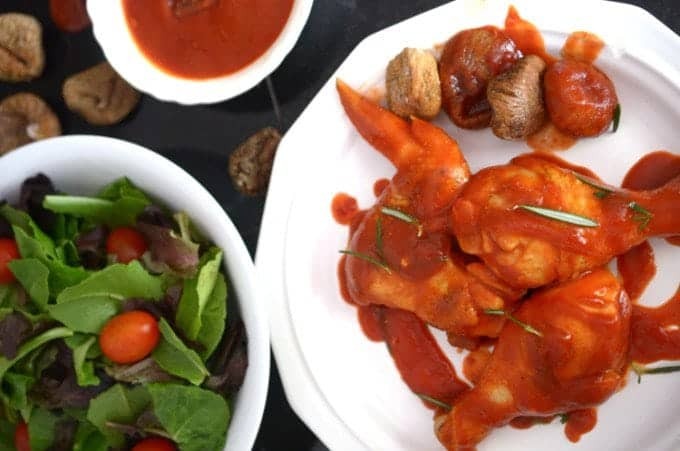 I put this recipe for Slow Cooker BBQ Wings together on Mother’s Day, although I wasn’t necessarily planning on making it with a slow cooker. Truth be told, in honor of my mom who I lost too many years ago, I was going to make a chicken dinner in the style that she cooked nearly every Sunday, skillet fried. As has sometimes been known to be the case, my mind drifted a bit as the day went on. I found myself thinking of a barbecue sauce and then a slow cooker. For once, I’m happy I deviated. Throw it all together in your slow cooker and forget about it until dinner time. It’s a true one-pot wonder, you can even mix the sauce together in the slow cooker. Finally, use what’s in your pantry. You’ll be amazed at the flavors you can create. Throughout life we are reminded of the virtue of working smarter instead of harder. The same holds true in the kitchen, in so many facets. Putting your slow cooker to good use instead of leaving it stored and setting idle is a terrific method of putting this idea into action. I had no idea how easy it was to put a barbecue sauce together. 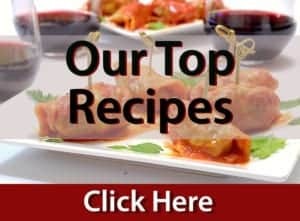 If you do a little research, you’ll find scores of different recipes for sauces. Some are exhaustive, some have just a few ingredients. You can make it as simple as using a bottle of barbecue sauce from the shelf at the grocery store. This recipe is all about the art of cooking, if I may be so bold to say. There really is no recipe here. There is a base of apple cider vinegar and tomato paste and ketchup and then a few add-ins: ginger, garlic, and a few other nips and tucks. 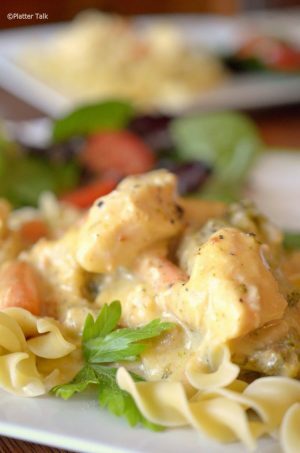 Our Slow Cooker Creamy Chicken takes less than 10 minutes to put together. One of our site’s most popular recipes, it’s one you will serve again and again. The point of this sauce is to make it your own. We all have different palates and the beauty of cooking to taste is that with a little imagination and a little luck, you can get virtually anything to taste perfect, to you. Another benefit of letting the right side of your brain take over with a sauce like this is making good use of what you have on supply. Have some raisins that need to get used? Throw them in. How about that bag of dried figs that is almost empty. Yes! 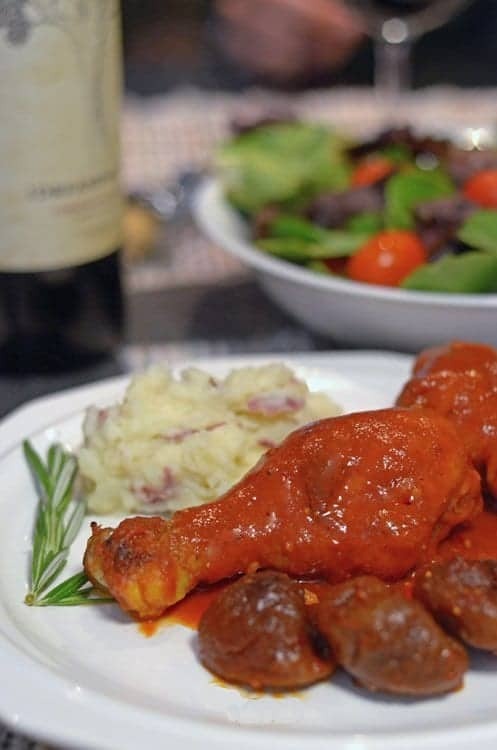 Make this recipe for slow cooker bbq wings your own. 1 tablespoon ground ginger or small chunk fresh, peeled and chopped fine. Set slow cooker to high. 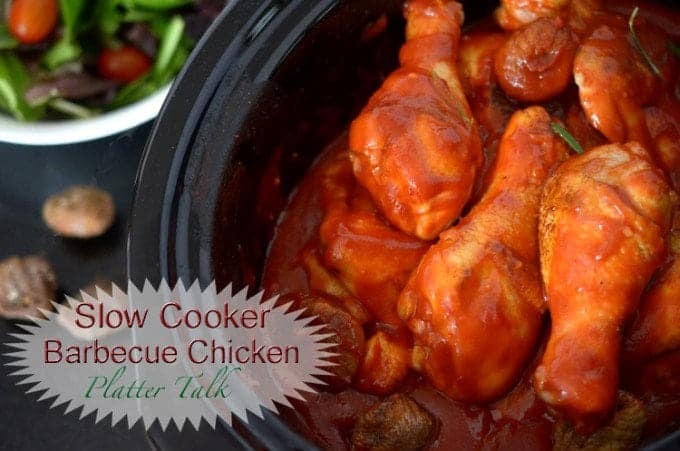 Mix all ingredients together in slow cooker, except chicken. Add chicken, stir and cover. Reduce heat to low setting. Allow to cook for 3-6 hours, until chicken falls off bone. We did a quick sear of the chicken in a skillet, to brown the skin and give it a little crunch and texture. Adjust quantity and types of ingredients to taste. This sauce can be put together the night before, stored in the refrigerator and then used the following day. I love this recipe, guys, literally drooling right now! 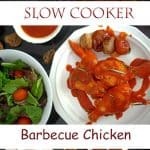 This is a great recipe for the cold months too when you are craving BBQ!! Thanks for the recipe! Now this is some finger licking good chicken! I am sure it is super tender fall off the bone delicious. Thanks, Bam and yes: Finger lickin’ good for certain! Thanks for the kind comments, Beeta; I know my mom would have enjoyed this one too! Looks amazing. I want to come to your house for dinner! The flavors are pure summer. Nice job! Dan, this is AWESOME!!! 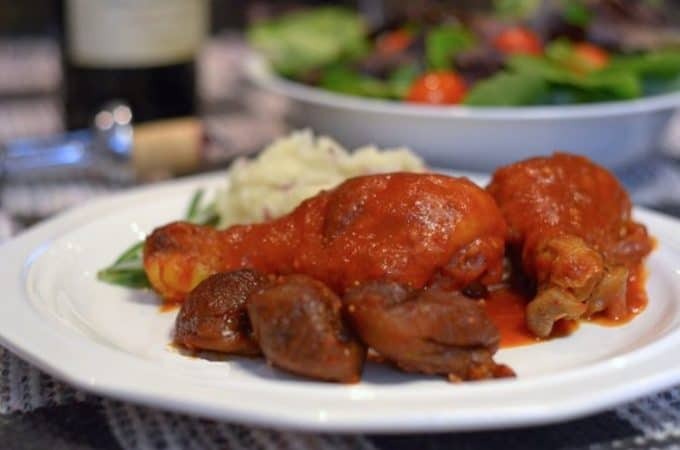 I haven’t made chicken IN barbecue sauce before, I have to try this! Thanks so much, Nagi; I hope you you put your creative barbecue juices to good use in your slow cooker one of these days; I’d love to see what you come up with. This really looks so good, the pictures are making me hungry! I love that it’s made in the crockpot! Thanks, Sam. 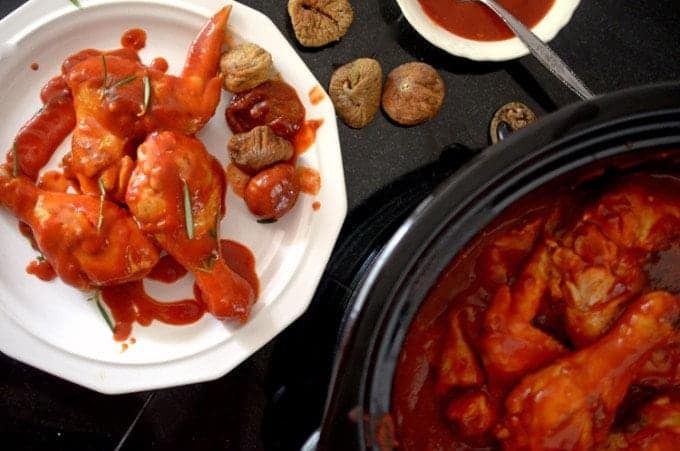 Crock pots can be your best friend! What an easy, fantastic recipe! Thanks Nancy, this was easy and delish! This looks absolutely delicious Dan! Wish I could try it now! Pinned and shared! 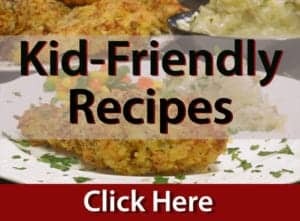 Easy recipe for busy families – and so great for the summer when no one wants to heat an oven or stand over a hot grill for that matter! Yay to you and the slow cooker. Thanks for the great comments, Patty! Can’t wait to try this with my own substitutions. i liked your last paragraph ‘Finally, at day’s end…” Following a method rather than a recipe is definitely a key to ‘expansive’ horizons in home cooking. Thanks for the post! Thanks for your comments, Frances. We would love to see more of you here on Platter Talk!